exhibition, and the related event. poverty, securitization, and to the selling them. in the world of computers and applied for patents. than making art works by using the tools of art." creating a new genre, I believe." - Related Event "Demonstration of Digital Nendo"
7pm-9pm on Saturday, April 10, 2010. Those who have subscribed for the book are welcomed. - Multiposted in English and Japanese. Updated the website. - This site is made in person by Hideki Nakazawa. See also "Notebook." 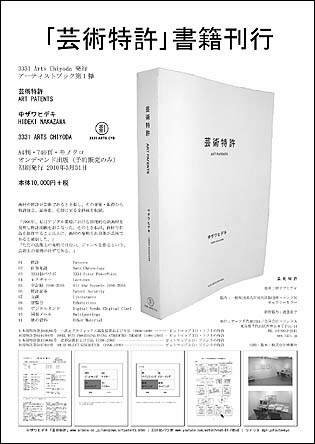 - Make contact with Gallery Cellar for Nakazawa's works, writings, lectures and others. Email to info@gallerycellar.jp including CC to nakazawa@aloalo.co.jp .